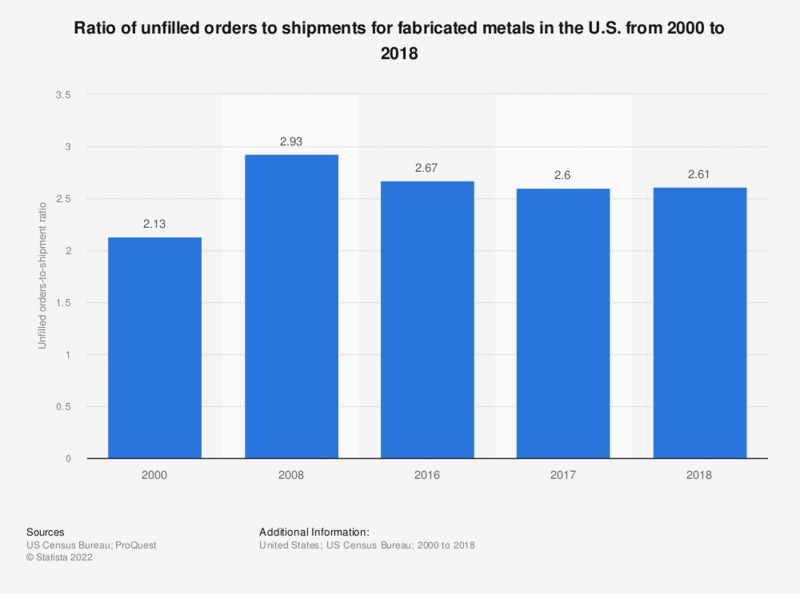 This statistic represents the ratio of unfilled orders to shipments for the fabricated metal industry in the United States between 2000 and 2017. In 2017, the unfilled orders-to-shipments ratio for fabricated metals was around 2.6. The figures for 2006 through 2009, and 2011 are taken from previous publications of the Statistical Abstract of the United States.